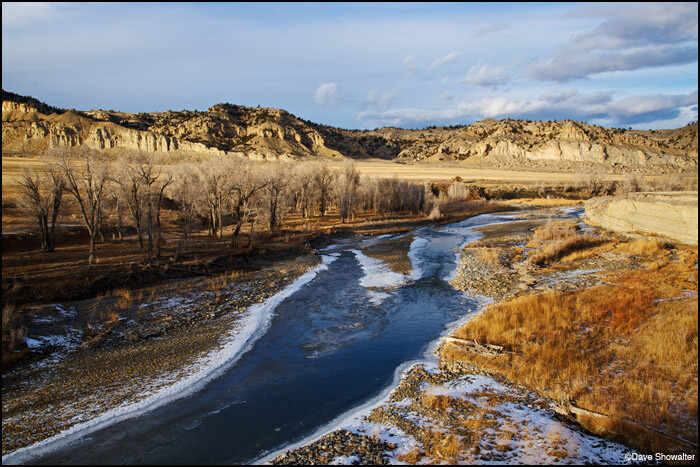 The Greybull River, one of the most important rivers in the West, flows through ranchland in Spring Creek Basin west of Meeteetse. The Greybull is critical habitat for endangered Yellowstone cutthroat trout and wildlife that depend on riparian habitat from its headwaters high in the Absarokas to the plains on the sagebrush steppe. Photo © copyright by Dave Showalter.